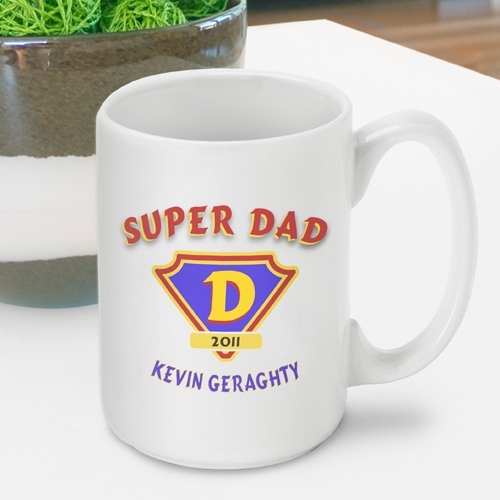 * A Super Dad deserves a Super Coffee Mug. * Our mug holds a whopping 15 ounces so it's perfect for the serious coffee or tea drinker who doesn't want to keep running to the kitchen to fill up. * It's made of heavy-duty ceramic so it keeps hot beverages hot, right down to the last drop.